On Tuesday afternoons, I go to “the farm.” My friends and family members know exactly what I mean, but every so often I have to stop and explain myself. You know how you go to the grocery store and stock up on veggies? Well, I get my vegetables at Tait Farm. I’m in a CSA, I tell them. When the reply is a befuddled look — and those looks are getting less common every year — I elaborate. It’s Community Supported Agriculture. I pay upfront for a subscription or membership in the farm, and pick up my share of the weekly or biweekly harvest. According to local food website LocalHarvest.org, tens of thousands of families have joined CSAs. Their reasons for joining are varied. Some want a connection to the earth, and to the true source of their food. Others want a healthier choice for their families. For me, it’s a combination of both. But I have a third reason: quality. I simply won’t make a BLT or a Bloody Mary with store-bought tomatoes. Once you go local, you just don’t go back. My weekly trips to Tait Farm are therapeutic, and as far from a grocery store transaction as you could possibly get. Clanking around in the trunk is my compost, which I return to the farm so the farmers can return it to the earth. Walking by the Basset Hound puppies that trip over their ears, I enter a barn awash in the colors of freshly-picked produce. Unlike their supermarket counterparts, these vegetables are not wearing any makeup. They are a motley bunch that celebrates imperfections. Bruised, dirty and varied in size and shape, they are an extension of the earth that nurtured them. 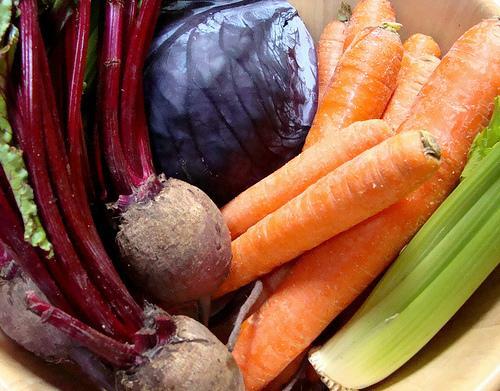 The farm provides my vegetable staples—carrots, potatoes, onion, garlic, spinach and salad greens. But it has also pushed me outside of my culinary comfort zone with delicacies like Red Russian Kale and Fairytale Eggplant. These items seemed daunting at first. But many CSAs include recipes and tips with their shares. And like anything in life, cooking with unfamiliar vegetables quickly becomes second nature. The kale is delicious in a quick sauté of garlic and red pepper flakes. It’s also a nutritional flavor boost to soups; just toss it in after the recipe is completed and let the greens wilt. The eggplant is perfect for stir-fry. Even easier: stick it on the grill until the insides are gooey. Here in central Pennsylvania, we’re lucky to have about ten CSAs. For the rest of today (Wednesday, April 24) you can bid on a CSA share from Tait Farm Foods, Clan Stewart Farm, Jade Family Farm, Greenmoore Gardens, Village Acres, and Plowshare Produce. The silent online auction is being held by Friends & Farmers Cooperative, the co-op I wrote about in my last column. It's a great way to support an organization that's working to grow the demand for local food. Five of these farms are auctioning off one-month CSA shares, perfect for anyone who has wanted to try a CSA but isn’t quite ready for the long-term commitment. Another way to test out the CSA concept is by devoting a certain amount of your grocery store purchases to the farmer’s markets. Invest in a large, sturdy salad spinner; set aside one day a week to clean, chop and prep your veggies and search for easy recipes with five ingredients or less. How to Cook Everything: Simple Recipes for Great Food, by food journalist Mark Bittman, is a great resource. Spend the season learning to cook local and researching CSAs so you’re ready to sign on next year. Joining a CSA is one of the best decisions I’ve made. Instead of an impersonal transaction based completely on price, a farm share is based on relationships: with our community, our local economy and our land. Members support an entity that’s growing food for its members, while protecting the environment. “Food shopping” is a weekly adventure and lesson on a different breed of hero: the kind who weather daily setbacks to coax delicacies from the land. So head over to your own farm. Consider it a gift to yourself, and a belated birthday gift to the earth. 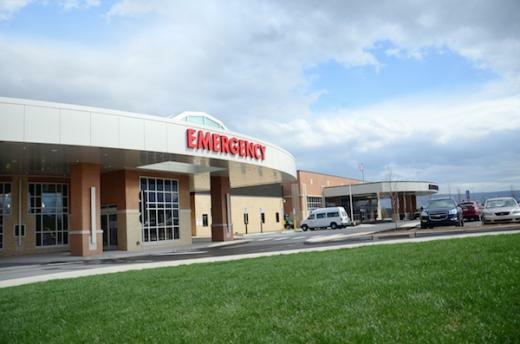 After almost a year, the second phase of expansion at the Mount Nittany Medical Center emergency wing is now complete and the entire facility is open for patients.